LGBT Torontonians will soon have one more avenue where they can have their concerns heard. Toronto city council voted unanimously on July 5, 2017 to reinstate the city’s LGBT advisory committee. 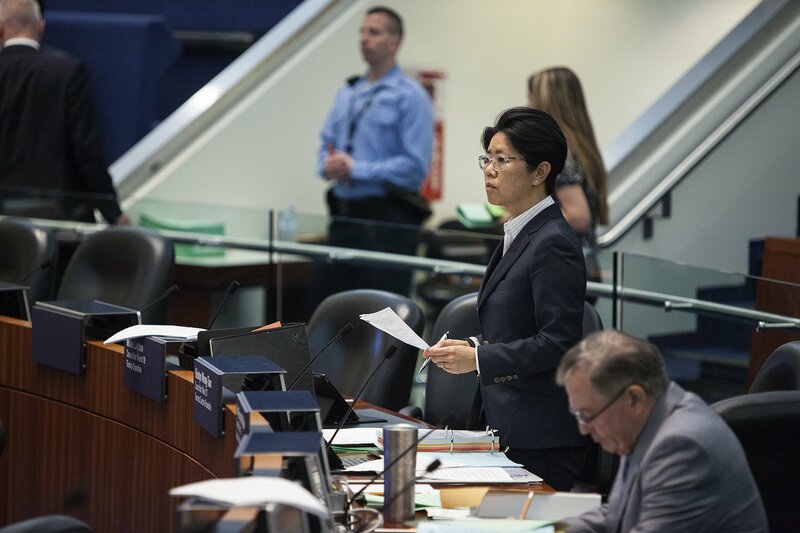 The motion was introduced by Kristyn Wong-Tam, the city’s only openly gay councillor. “Sexual liberation and human-rights work needs to happen each and every single day, and not just when we come together once a year,” Wong-Tam told Xtra in June when she announced her intention to bring back the council. The city manager will report to the executive committee in October with recommendations on how the advisory panel should operate and who will sit on it. Toronto hasn’t had an LGBT advisory body in over a decade. A community advisory panel on LGBT issues was created in 1999, and its mandate was eventually folded into a broader human-rights panel. But that panel hasn’t been active since 2006. Toronto’s municipal government touches the lives of LGBT people in numerous ways. Toronto Public Health, a city agency, provides significant funding for HIV/AIDS programs through the Toronto Urban Health fund. The city provides hundreds of thousands of dollars in support to Pride Toronto, through a $260,000 grant as well as providing free services to the festival, such as garbage pick-up. Zoning and licensing fall under city jurisdiction, which influences the shape and scope of LGBT nightlife in Toronto. And that’s not to mention the numerous services the city provides, such as shelters, recreation and transit, all of which city workers must provide equitably to residents.